Trout Fishing Tips and Tricks to Catch Any Trout at Anytime! Which Brown Trout Fishing Techniques Should You Use? What Speckled Trout Fishing Lures Should You Use? What are the Best Speckled Trout Fishing Rigs? What is the Best Trout Bait? What Bait to Use for Trout? What is the Best Trout Bait for Lakes? What is the Best Bait for Trout in Rivers? What Trout Rigs Should You Use? When is Trout Fishing Season? When Does Fishing Season Start in Pennsylvania? What Lake Trout Fishing Lures Should You Use? Missouri Trout Fishing Season: When is it? Trouts are some of the most popular game fish in the world because of their prowess and mastery of their environment. Catching them takes a certain amount of skill that takes a lot of time to develop. Only a small percentage of anglers can claim mastery of trout fishing. However, don't let this intimidate you. It may take some time to fully develop the skills required for trout fishing, but if you know exactly what you need to learn, then you can cut down the learning curve quite a bit. With the trout fishing tips described below, and you'll be a successful angler in no time. You might be wondering why it's important to uncover the secrets to successful fly fishing when going for trout. The reason is, that there's more to fly fishing than fishing tackle and technique. The secret to fly fishing lies is in understanding the environment. The best fly fishers don't focus too much on their gear or techniques, although it may seem like they do. What they focus on is studying the environment to judge the best places to fish, such as rivers and lakes where trout search for food. They also learn about the habits of the fish they're going after. They know the best season to look for them, at what depth they'll most likely be, and exactly what type of food the fish will be looking for. If you go around and ask any successful angler for tricks to catch trout, you’ll get more than a handful of ideas. Most of them should be useful because they’ve already been tested. However, many tricks are tied to specific conditions. For instance, tricks used for catching stocked trout won't work as well with natural trout. So, if a particular method you're fond of works well in a stocked lake, there's a chance that it won't be able to do the same magic in a river. On the other hand, some tricks seem to work well with both stocked and natural trout. For instance, changing the color of your bait or lure usually works because trout are known for searching for different types of food. They could be looking for a particular type of food one day and something different the next. By changing the color of your bait, you have a better chance of luring the trout towards something they might be looking for. When fishing for trout, always respect their abilities. This is one of the best trout fishing tips you’ll encounter anywhere you go. If you respect what they can do and study them carefully, you’ll have a better chance of improving your fishing skills. Trout can be found all over the world. Being a freshwater fish, they’ll be abundant in lakes, rivers, and even streams. However, despite being common, trout can be a challenge to catch. In fact, they’re considered to be one of the hardest catches in game fishing. The reason for this is because trouts are a large family, with each species having a distinctive personality that you’ll need to be aware of to be successful in trout fishing. If you’re planning to become a highly skilled trout specialist, you’ll need to become familiar with some of the most common types of trout. Once you’re familiar with the common ones in your area, you can study other species in case you get the chance to travel to other countries where other species of trout abound. There are over 50 different types of trout in the world, so getting up close and personal with all of them might be quite a challenging task. Nevertheless, if you're aiming to be skilled in trout fishing, you'll likely encounter quite a few species in your lifetime. Some of the most common species are Rainbow, Brown, Golden, Brook, and Marble. The occurrence of different species depends on the region. For instance, in North America, Rainbow Trout are the most common species. One thing you'll need to remember when trout fishing is to follow any fishing regulations in the area. These regulations will state the size and quantity of trout you can have with you. Every country or state has different regulations and penalties that can be severe if you exceed the stated limits. For example, in Missouri, there are a handful of regulations you must follow. One of the best ways to make sure you'll be able to catch trout of legal size in a particular area is to be aware of how fast and big they grow. Trout can grow up to 16 inches long and can live for about 11 years. The best way to be successful in trout fishing is to learn all you can about the species that are common in your area. While each species has different characteristics, they also all have some things in common, such as being uncomfortable in water temperatures above 20 degrees, or being able to seemingly outwit even the best of anglers when they want to. If you're still new to trout fishing and want to improve your game, make sure to learn all you can about the types of trout species in your area and even other species as well. When it comes to catching fish, knowledge is power. So if you want to be a true angling expert, you have to know the different types and what makes them tick. This is one of the best trout fishing tips that you will ever get. When it comes to catching fish, knowledge is power. So if you want to be a true angling expert, you have to know the different types and what makes them tick. This is one of the best trout fishing tips that you will ever get. Rainbow trout are a popular gaming fish and they make for a delicious meal as well. However, catching them can be a bit tricky. It is said that trouts, in general, are quite intelligent and they can outsmart even the best anglers. 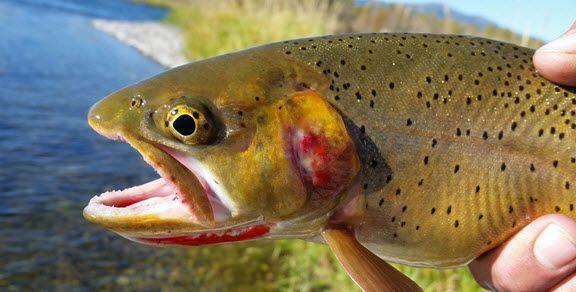 If you're new to fishing trout, especially Rainbows, below are some Rainbow trout fishing tips & techniques that will help you improve your skills. Rainbow trout can be found in streams, rivers, and lakes, but the best places where beginners can practice catching them are in stocked ponds. 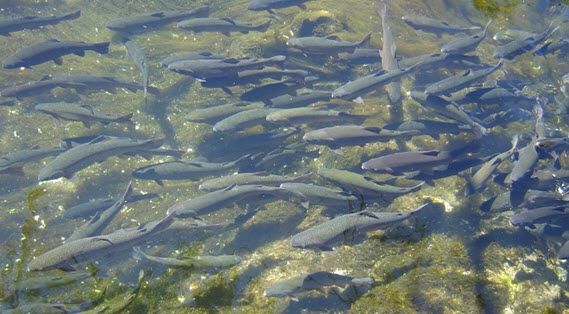 Stocked ponds are places where farmed Rainbow trouts are transferred so they can continue growing. They can be farmed and stocked by government organizations or private entities. It's fun and educational to fish at a stocked pond, but you'll need to remember that there are rules you'll need to follow, especially when it comes to size and quantity limitations. When Rainbow trout fishing, it doesn't really matter what type or quality of tackle you use. You can use professional quality tackle or even the cheapest you can find in the market. What's most important is the type of bait you use and how you read the water. Ponds or lakes can be quite large and only a small percentage of that area will contain stocked rainbow trout. Trout are usually comfortable in water temperatures below 20 degrees. They also love bugs and other land based insects that get blown into the water. Always try to find an area where the wind is blowing from shore to the water and not towards land. 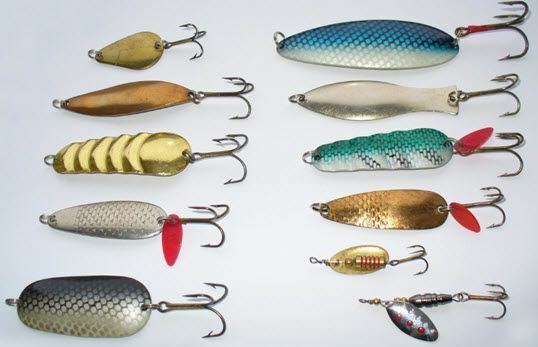 Lastly, when using lures or bait, try using different types. Trout are known to be picky when searching for food. Fishing for natural trout can be a bit more difficult than fishing for stocked trout. This is mainly because you'll need to study the river a bit more carefully than a stocked pond. Additionally, Rainbow trout seem to be a bit more intelligent than their stocked counterparts. In fact, experienced anglers try to make themselves less conspicuous when fishing. In terms of tackle, lures, and bait, you'll be able to use the same gear you would in a stocked pond. However, you might want to invest in better quality tackle than going for the cheapest you can find in the market. You'll definitely enjoy Rainbow trout fishing, especially because this type of trout is quite challenging. They do require a certain level of skill, so don't be impatient. Take the time to study the environment in order to find the best places to fish. Brown trouts may not be the largest species of trout, but they do grow quite large. 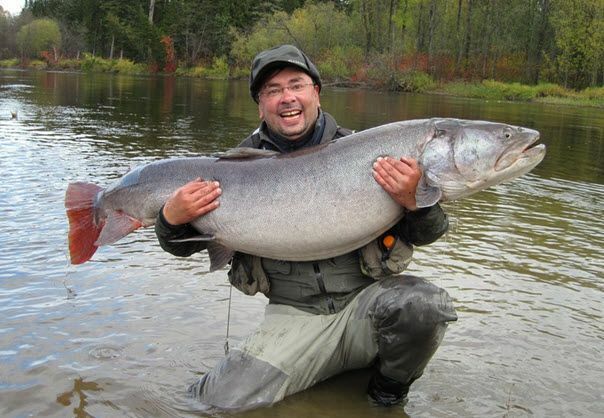 The largest recorded catch was a bit over 41 lbs, so they can present quite a challenge, even for experienced anglers. If you're new to trout fishing, or even fly fishing in general, don't worry. With a few basic brown trout fishing tips, you'll be able to enjoy catching them as much as any experienced angler. If you're going to rely on the internet for advice on brown trout fishing, you'll get tons of tips and techniques. It's unlikely that you'll be able to remember them all, or that all of them would apply to your particular situation. To increase your chances of a good catch without having you memorize a book of techniques, here are a few tips to keep in mind. Brown trout don't like warm waters. They thrive in colder waters, so that's where you should be. Brown trout spend most of their lives at sea and only go to fresh water to reproduce. This usually happens in October or November, so if you're fishing during those months, make sure you're in fresh water. Don't stick to dry fly fishing. Fishing with dry flies may be fun and will work a lot of times, but not always. There will be times when brown trout search for food below the surface, so you'll need to lower the bait a little if you want to catch them. Additionally, if you're fishing in rivers, remember to position yourself near boulders or places where trout can hide and watch for food floating by. Doing so will increase your chances of catching brown trout sooner than you would expect. The question many anglers have in mind is what type of lure or bait to use. If you're new to brown trout fishing, don't worry if you get stumped trying to figure out which bait or lure will work. Even the best anglers get into such a situation. The key to successful brown trout fishing is to bring along a mixture of bait and lures. No specific lure will work 100% of the time. 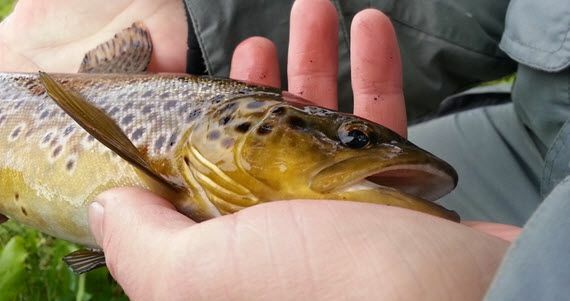 ​Brown trout fishing is usually more challenging than fishing for other trout species. You'll find a lot of different techniques on the internet, but what you should focus on is studying the habits of brown trout so you can position yourself at the right places with the right type of lures or bait. Don't forget to be creative with the techniques you employ. And don't worry if you're new to brown trout, they are elusive and difficult fish to capture. If you're looking for trout you can catch year around, the speckled trout is definitely a good candidate. In fact, anglers that specialize in catching this type of fish usually belong to two groups: those that fish during the summer and those that search for the speckled trout during the colder months. Due to the availability of this trout, you'll likely encounter plenty of speckled trout fishing tips if you ask around. However, there are only a handful of tips you should remember to successfully catch this type of trout any time of the year. Speckled trout can be caught any time of the day, but many prefer to fish for them at night under bright lights. Even though speckled trout are common any month of the year, it's better to catch them during May when they spawn. During this time, they head towards the beach making them easier to catch. Another good time to fish for trout is when shrimp is abundant. Speckled trout love shrimp, so you'll likely be successful fishing for them during shrimp season. Shrimp may be a favorite meal for speckled trout, but bigger speckled trout like to feed on fish. With this in mind, it's best to use lures that imitate the fish they usually go for, such as anchovies or mullet. However, there's no set rule on what type of lure you should use with speckled trout. In fact, many experienced anglers will tell you to try different types. If the trout aren't biting with a particular lure, try others. There are quite a few recommended rigs for speckled trout, but you only need to remember one thing when choosing a rig: what speckled trout are attracted to. Speckled trout are drawn to noise similar to fish splashing in the water. They are also drawn to color, but there's no saying what type of color they'll choose during what day. So, if you're wondering what type of rig to use, just keep in mind that the best rigs are those that attract speckled trout the most. Speckled trout fishing may be challenging, but it will certainly be a great experience. With the above tips, you should be able to catch to your heart's content. However, if you really want to specialize in specks, try catching them at different times of the year in both freshwater and saltwater. This type of trout can be elusive as well, but don't forget the tips that we have given to you. They will act as your guide in helping you become a Speckled trout expert. You are sure to be a professional trout angler! Perhaps the single most important component of fishing is the bait. Without bait, the chances of luring fish are almost nil. It's the same outcome if you try using the wrong type of bait as well. If trout aren't impressed with what you're offering, they'll simply ignore you. What is the best trout bait? Is there something that will work all the time? Those are two questions that every angler has asked at one point or another. Fortunately, the answer is quite simple, but only if you understand the trout you're searching for. There are over 50 different types of trout all over the world. Each of them has different preferences in food. However, by utilizing several types of bait or even combining them, there's a good chance that you'll find the perfect bait for that day. One thing you'll need to consider when choosing your bait is the location you'll be fishing in. If you're fishing in a stocked pond or lake, you'll need to provide bait that imitates the type of food commonly available in that area. The top three baits used by experienced anglers to catch stocked trout are powerbait, worms, and salmon eggs. Worms, as you might already be aware, are the all-time favorite when it comes to bait. 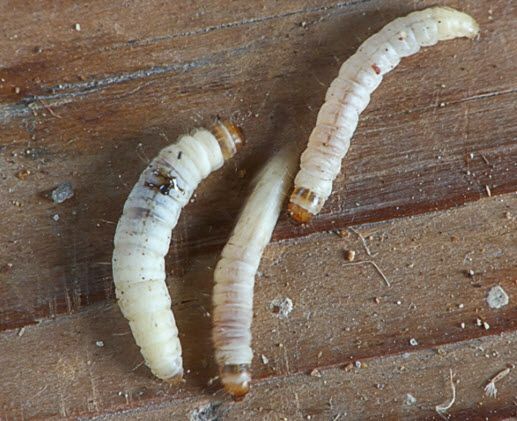 If you're out of worms and can't seem to find some, other crawlies will suffice. 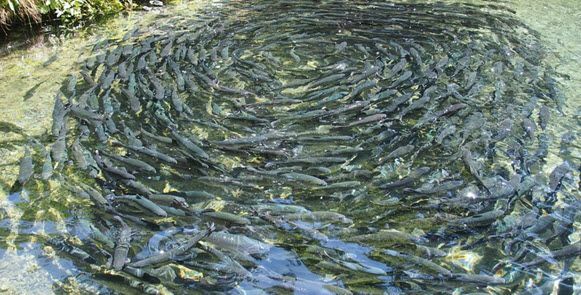 Trout love bait that moves in the water, so anything you can get that can attract them this way should be sufficient. 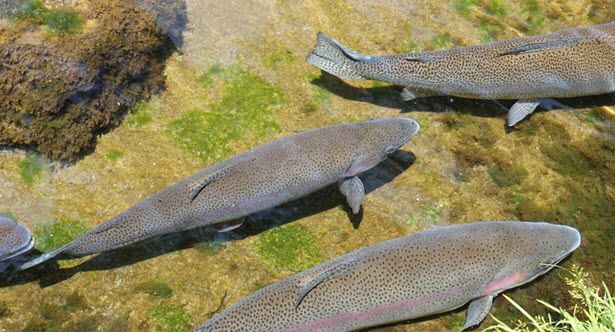 Natural trout are different than their stocked counterparts in terms of food preferences because these trout are used to a more diverse menu selection. Nevertheless, their habits are quite similar. River trout also love crawlies, so worms and other critters you find will likely be good baits. Powerbait also works well for natural trout. Other than powerbait and live bait, you might also want to consider lures. The advantage with using lures is that you don't need the expensive ones. Almost any type of cheap lure will work as long as you know where the fish are. It's imperative that you choose the right type of trout bait or you can spend hours searching for your first catch. The trick to attracting trout is to bring different types of bait and lures along with you. This way, you'll find what type will work that particular day. Just remember, that when fishing for trout, use your brain. The same things won't always work, and different kinds of trout are attracted to different kinds of bait. So never leave home without your angling kit! Live bait is always a primary choice when fishing for trout. Worms and insects are known to attract trout, but it can be a bit time consuming to collect them. There will be days when you simply want to get on to fishing, without having to look for live bait. It's during these days that trout lures are most convenient. However, you'll need to keep in mind that trout lures imitate the form and movement of live bait in the water. If there's something certain about trout, it's that they are a bit picky when it comes to choosing their food. There are days when they seem to crave one type of food, and others when they totally shy away from it. The secret to successfully fishing for trout using lures is to use the right lure, at the right circumstance, in the right place. When fishing in ponds, there's a good chance you'll be fishing for stocked trout. You'll need to remember that if the trout are newly stocked, they might not be attracted to lures that imitate live bait. This is because they weren't fed with live bait before transferring to the pond. Therefore, if you use lures that imitate live bait, they won't recognize it as a food item. Your best bet in these situations would be powerbait. However, if the trout has been in the pond a while, then they've already been exposed to live bait, so your lures will likely work fine. Fishing in rivers is a totally different story. Trout in rivers have been feeding on live critters most of their lives, so any lure that imitates a moving critter or worm will work fine. One thing you’ll need to remember though is that natural trout will likely be affected by the color of the lure. Some days they’ll be attracted to bright colors, while other days pale colors work fine. Just make sure to bring lures with different colors to increase the chances of using the right color of the day. In fact, it is possible to be successful even with the cheapest lures in the market. Just make sure that you bring a wide variety of lures, to increase the chances of finding one that the trout are attracted to on a particular day. Remember that not all trout are the same, and that goes for even the same species trout. Every day is a new adventure, so treat it accordingly. When fishing for trout, you don't necessarily need to use top-of-the-line rods. However, it doesn't mean that you need to be satisfied with the cheapest either. What you need are good quality trout rods that can provide you with years of excitement while fishing. The question is, how do you choose good quality rods for your adventures? The fastest answer would be to pick the top brands, such as St. Croix, Shimano, etc., but then there are issues of affordability. Instead of recommending the top brands right away, we'll describe the equipment you'll need. So you can search for good quality brands that you can afford without breaking the bank. That sounds pretty good for your wallet. One of the first questions that new anglers have when choosing trout rods is how long a rod they need. In general, long rods, or rods over 6 feet in length will work great. However, there are circumstances when long rods won't be ideal. For example, if you're fishing in an area where there's a lot of overhanging tree branches, or where you have severely limited space to cast, then long rods aren't ideal. You'll need a shorter rod for those situations. If you're in a wide-open space, then use a length that you're most comfortable with. What's important is that the rod is strong enough to handle a good catch. If you're a new angler, then it's likely you've been advised to stick to spinning rods for the time being. Once you've gained enough experience, you can move on to a bait-casting rod. One of the reasons why spinner rods are great for beginners is that there's not much chance to make a mistake with the line, such as getting it tangled in the reel. 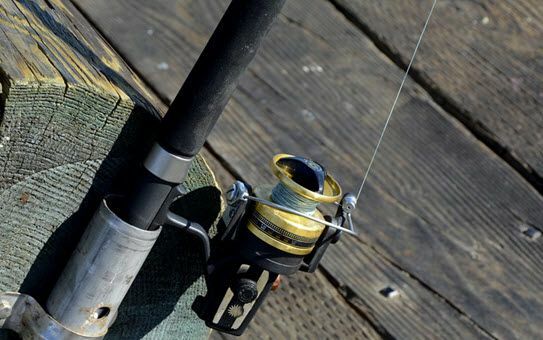 There are more advantages of spinner trout rods, but your primary concern as a beginner is to discover the best ways to catch trout. Spinner rods let you focus on this, instead of developing a certain casting technique. Once you've decided on the rod to use, you'll need to learn how to set it up properly. For this, you'll need to find someone familiar with trolling for trout and fishing in general. There are quite a number of ways to set up a fishing rod and they all have advantages and disadvantages. You'll need to learn what those are so that you can decide which setup to use in what situations. Always keep in mind that no one setup will work well all of the time. There will be days when a different trout rod setup would work better than the one you're used to. So just remember to switch it up when you aren't getting any bites. One of the most difficult parts of trout fishing is the rig setup. Trout rigs are a favorite topic of experienced anglers but can be quite confusing for beginners. However, rigs shouldn't be confusing at all. In fact, most of the time, anglers have a habit of making things look harder than they need to be. If you don't already know, there are more rig setups than all your fingers. There may even be more than the bones in your fingers. There's just so many different ways you can set up a rig that it doesn't really make any sense to learn them all. So, instead of losing your mind learning the different rig combinations, let's stick to the basics of setting up a rig to match the eating habits of the trout and the environment. As a beginner, you'll need to rely on one of the most effective baits out there, which is powerbait. Even highly experienced anglers are surprised with the effectiveness of this bait. So as a beginner, don't forget how to set up a powerbait rig. One thing you'll need to remember when using powerbait is that you'll want a rig that will allow it to float. So, the basic set up would be a sinker on the line and a lead line that's long enough to reach near the surface. The length of your lead line will depend on how deep the waters are where you'll be fishing. This rig is basic and ideal for most locations where you believe that the bait is better off floating. When you're fishing in a lake, almost any type of trout rigs will do. However, to keep things uncomplicated, a floating bait rig, like the one described above, would be the simplest choice. You can use this type of rig with powerbait and live bait. Keep in mind that trout love worms, grasshoppers, bugs, and just about any type of insect. They also love salmon eggs. It's best to float these types of bait, and they'll usually work. However, if you're finding it a bit difficult to catch trout, you'll need to study the area. Remember that trout will usually occupy only a small area of a lake, so learn how to identify places where they'll likely be. Floating trout rigs are always your best bet as a beginner. In time, you can learn other types of rigs and when to use them. For now, try to master the floating bait rigs because you will be using them more than you'll ever know. Almost all of the states in the US stock trout, so they are widely available, especially the rainbow variety. However, even though there’s an abundance of trout all over the country, it’s important to ensure that their population remains healthy, which is why fishing regulations exist. One of these regulations limits the number of days a year when trout can be fished. Those days are referred to as trout fishing season. Fishing season not only occurs in the United States. Countries all over the world regulate the fishing industry. If you’re looking to become an angler, you’ll need to be aware of what the fishing regulations are in your area. If you fail to follow those laws, and you’re caught, you could be paying substantial penalties. Always remember that ignorance of the law is no excuse. Trout are common in North America and one of the best states to fish for them is in Oregon. However, you will need an angling license to fish in any of the multitudes of rivers and lakes. One of the best things about fishing for trout in Oregon is that many of the great fishing locations are open all year around. There may be regulations that limit the size and quantity of the trout you can catch, but if you're taking up fishing as a sport, you can practice every day of the year. Another state where trout fishing is highly recommended is Pennsylvania. The state boasts millions of trout available for any level angler. 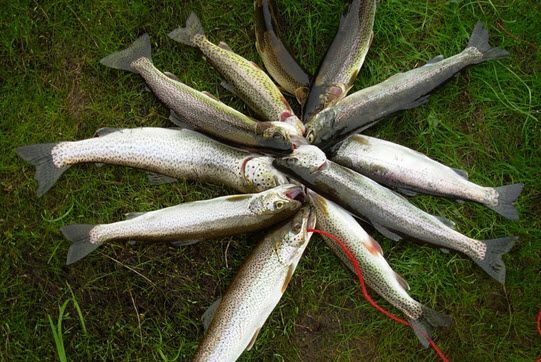 However, unlike Oregon where you can fish all year around, Pennsylvania has an established trout fishing season, which usually begins in April and ends on Labor Day, in September. However, there is an extension that can last until February. You'll also need to remember that if you want to participate in the fishing season, you'll need an angling license to catch trout. Also, don't take the regulations lightly, as getting caught could result in heavy penalties. Whether you intend to fish for trout in Oregon, Pennsylvania, or any other state or country, make sure that you research the fishing regulations in that area. Additionally, even though you might be fishing at a private pond, regulations could still be in place, so make sure that you know what they are. Trout fishing season is one of the best times of year, especially for experienced anglers and those new to the sport. By following the fishing regulations in your area, you'll be contributing to a healthy population of trout that millions of other anglers can enjoy. If you’re planning to get serious about angling, you’ll likely encounter one of the most popular game fishes on the planet, which is the lake trout. Lake trout may not be the most beautiful of the species, but they can get pretty heavy, and they’re certainly tough to catch. As their name suggests, lake trout are mostly found in lakes. However, not all lakes have the ability to becomes home to this magnificent creature. Lake trout have a voracious appetite, so it’s unlikely that you find them in areas that have severely limited food sources. The best thing about lake trout is that you can use their tremendous appetite to your advantage. If you use the right bait, together with the right fishing equipment, there's a good chance that you'll have a great fishing experience each time, all the time. Below are a few lake trout fishing tips. If you're going to be fishing on a lake, the most exciting way would be to do so on a small boat. Unfortunately, not all of us have access to boats, so we need to make do with fishing for trout from the shore. 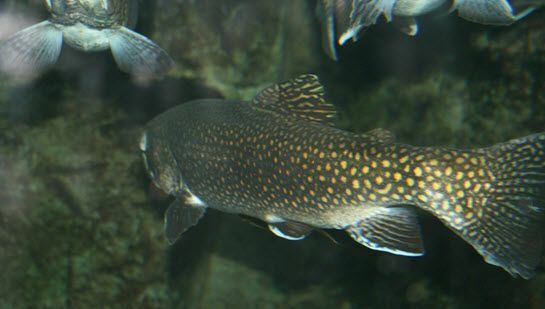 Lake trout are known to live in the deeper parts of the lake. Nevertheless, catching them from the shore is still possible, because they have a habit of moving to shallower portions in search for food. This means that if you're fishing for lake trout from the shore, there's a good possibility that they'll take whatever bait you present. To find the best fishing spot on the shore, look for short, shallow portions along the shoreline. As mentioned earlier, lake trout can get pretty large, which means that you'll need to use bait and lures according to the size of the trout you're looking for. If you're planning to catch large trout, you might want to stick to large bait, such as a small trout or lures, that imitate one of their favorite meals. If you're searching for medium-sized trout, then the normal trout bait, such as worms and critters, will do. Powerbait is always a good option. Lake trout fishing can be a great experience. There's no doubt that you'll enjoy searching for this marvelous creature every time that you get the chance. Just remember, though, to follow any fishing regulations, to ensure that the trout will be available for many years to come and that even your great grandchildren will be able to enjoy this activity. So when looking for the best places to go trout fishing, keep in mind that lake trout fishing is quite the adventure. If you are a beginner, fishing in the lake could be the best option. Any angler, regardless of experience, will definitely have a great time fishing for stocked trout. However, if you're looking for an adventure, river trout fishing should be on your itinerary. River trout present more of a challenge, not only because they have different eating habits, but also because of the environment. .Many anglers claim to know the secrets to river fishing. However, while there are many techniques that work, there's really no guarantee of a good catch every fishing day. What will improve your chances of success is to apply a variety of techniques in the hope that at least one of them will work for that particular day. Always keep in mind that trout are one of the most challenging gaming fish around. Moreover, natural trout, such as those you'll find in rivers, have likely developed a bit more intelligence than their stocked counterparts. Before you take out your rod and rig your line, take the time to study the environment. Examine the river and identify places where trout will likely be searching for food. 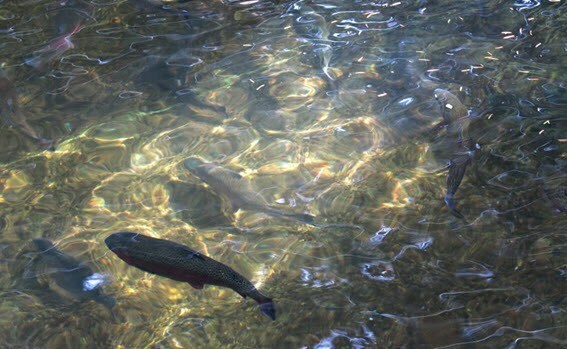 Look for large rocks, where trout can be hiding and protecting themselves from the current to pounce at food floating by them. When approaching that area to cast your line, try not to be too noticeable. It is said that trout can outwit any angler, so if you're finding it a bit difficult catching them, you might want to reconsider your strategy. Lastly, even though you're trout fishing in a river, don't forget that you'll need to follow any regulations that limit the size or quantity of trout you can keep. It's advisable to use live bait whenever you can. However, if you don't have the time to search for bait, then lures will work as well. Lures often imitate the form and actions of live bait in the water, so there's a good chance that the trout will think that they're going after their favorite food. The type of fishing lure will depend on the size of trout you’re looking for. Larger trout are fond of eating small trouts. Meaning they’re looking for larger meals. 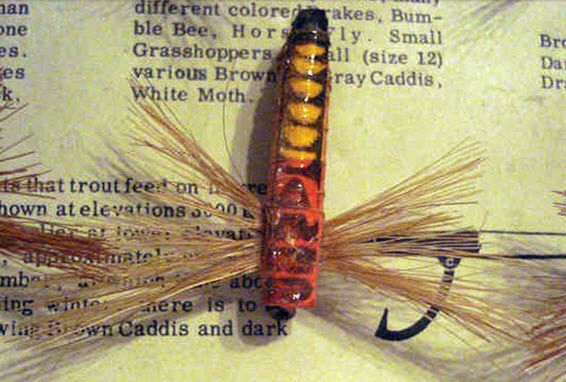 Therefore, you’ll need to use lures that imitate the actions of a live small trout. River trout fishing can be an adventure you’ll never forget. However, you will need to do it properly, to increase the chances of a successful day of fishing. Always take the time to study your environment before jumping and casting your line. This way, you won’t waste precious time trying to fish in areas where trout won’t likely be. Ask a hundred anglers what they believe are the best trout fishing locations and you’ll probably get a hundred different answers. Not only are trout a highly popular game fish in the United States, they are also extremely common, especially in the North. While there certainly isn’t any lack of fishing locations in America, you’ll definitely want to find the best, especially if you’re aiming to improve your game. To help you in your search, we’ve come up with what we believe are the best states and streams to fish for trout in the US. When fishing for trout, it’s always most convenient to fish at the nearest location. If the nearest location also happens to be a well-known fishing spot, there won’t be a need to travel to other states, unless you want to try other popular trout locations. In the US, quite a number of States are known to have excellent trout fishing locations. States such as Oregon, Pennsylvania, Idaho, Utah, and New York have consistently been popular locations. Wyoming and Montana are also popular for the size and quantity of trout available for fishing. Beginner anglers will usually be content with practicing their trout fishing skills at the nearest stocked pond. However, if you’re trying to really improve your game, you should venture to the po﻿pular streams and rivers to test your skills and learn how trout actually live in the wild. To do so, you’ll need to visit a few of the best trout fishing locations. 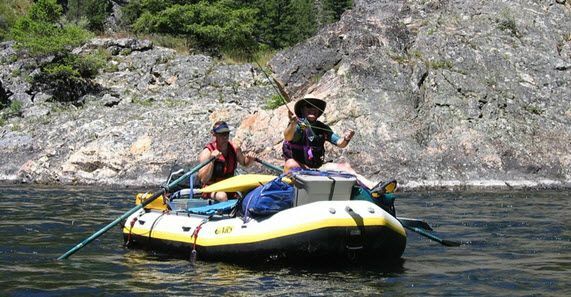 Some of the most common are the Wind River Range in Wyoming, the Delaware River in New York, and the North Umpqua River in Oregon. One of the most heavily-populated is Armstrong Spring Creek in Montana. As mentioned earlier, there are a multitude of excellent locations to fish for trout, so if you ask experienced anglers, they would likely be able to provide you with a different list of what they believe are the best trout fishing locations. Finding great fishing locations, other than the ones nearest you, is an excellent way to improve your fishing skills. 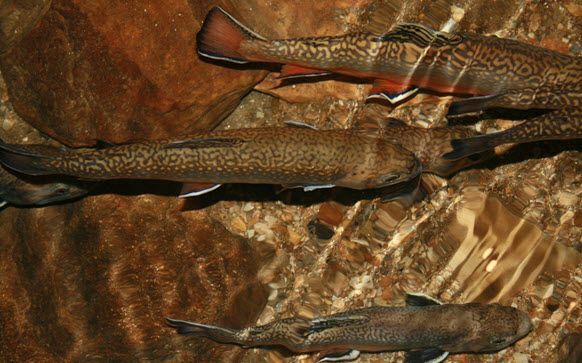 You’ll be exposed to different environments, which help you to learn the different feeding habits of trout. Best of all, there’s a good chance that you’ll catch the trout of your dreams. Just remember that every state has its own fishing regulations. You may also need to acquire different fishing permits. Learn what those regulations are, so you don’t get in trouble with the law while enjoying an excellent fishing day. North Carolina has quite a number of excellent trout fishing locations that are perfect for anglers of any skill level. If you’re from there, you’re probably already aware of the great fishing spots. If not, then the fastest way to find them would be to go to the NC Wildlife Resources Commission’s website, where they provide a map of the different trout waters in the state where you can enjoy fishing. What you’ll need to remember, though, is that trout fishing in North Carolina has their own fishing regulations that you’ll need to follow. These regulations include the times you’re allowed to fish, the quantity of trout you’re allowed to keep, and the rules regarding catching fish and releasing them back into the water. If you intend to do some trout fishing in North Carolina, you’ll first need a fishing license. The Wildlife Resources Commission issues both resident and non-resident fishing licenses. Once you’ve obtained the necessary fishing license, you’ll also need to go through the fishing regulations, which are posted on their website. There are regulations that are specific to inland fishing, and regulations for saltwater fishing. Make sure that you’re aware of those regulations before you begin your fishing trip, as ignorance of the law does not relieve you of your responsibilities. After getting your license and reviewing the regulations, you’re all set for your fishing adventure. If you’re planning on fishing inland, it would probably be a good idea to know some of the best places to do so. With the sheer number of excellent fishing streams in North Carolina, it would be futile to list them all here. However, what you can do is open the Fishing Access Map at the North Carolina Wildlife Resources Commission. Not only does the map name all of the best fishing streams, it will also provide directions getting to them. Another advantage of reviewing the map is that you’ll not only be able to find the best places where you can fish from the banks; you’ll also find places where you can fish from a canoe, boat, or a pier. This way, when trout fishing NC, you won’t waste precious time searching for a good fishing location, or one that you prefer. If you plan on fishing from a boat, don’t forget that North Carolina does have laws concerning the use of boats when fishing. You will need to go over those regulations in detail, especially if you intend to bring along your own boat. Expect to have a wonderful adventure every time you go trout fishing NC. 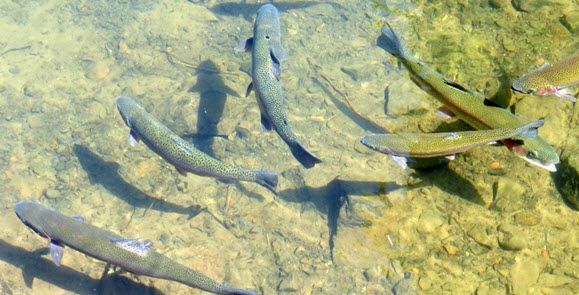 Just make sure that you abide by the rules to keep from getting on the wrong side of the law, and do your part in conserving North Carolina’s trout population. As the home to the Ozarks, Missouri promises every angler a wonderful experience each and every time they go fishing. With a wealth of first-class fishing spots, the state offers anglers a lifetime of fishing adventures. However, it’s imperative that you plan your fishing trip carefully to ensure a great time with friends and family while traversing the vast fishing locations of Missouri. If you’ve ever been trout fishing in Missouri, you probably already have a good idea of how unique each fishing experience can be. If not, then the mystery of discovery will be right before you. All you need is a well thought-out plan to ensure that you’ll experience an adventure of a lifetime. Before you go out trout fishing in Missouri, make sure that you’ve secured the necessary permits and licenses from the Missouri Department of Conservation (MDC). As you might already be aware, fishing without a license, or the correct one, can get you in trouble with the law, which would likely ruin the great adventure you’ve been planning. You’ll also need to be aware of the fishing regulations. While there are many in this state, it’s easier to remember that there are red, white and blue areas. Each area has limitations on the number of trout you can fish to ensure that there’ll be plenty of trout for every angler that visits. With so many fishing locations in Missouri, it’s possible to fish for trout at any time of the year, as long as you have a permit to do so. The MDC provides a list of the fishing locations you can go to at certain times of the year. Besides trout fishing in the rivers of Missouri, you can also try fishing at one of their numerous fishing parks. Trout at these parks may be stocked, but that in no way reduces the joy of catching one. Just remember that there are regulations in place concerning the amount of trout you can keep, which is usually 4. Some parks also have limits on the size of trout you can catch. Moreover, there are also limitations on the amount of poles a person can use. Usually you only use one at a time. It may be nice to have different lines in the water, but don’t forget that this is a no-no in many of Missouri’s fishing parks. The best way to plan an exciting trout fishing adventure in Missouri is to educate yourself on the best fishing locations. But you must not forget about the regulations that govern them. Once you’re aware of your limitations, you and your friends or family can spend days, or even weeks, discovering the many fishing locations of Missouri. A saying goes that, “All work and no play makes John a dull boy.” meaning, a person who does everything seriously, without time to relax through recreational activities or vacation, is at risk of leading a monochromatic life. With that said, a lot of people are into recreational fishing to get the lifestyle balance that they need. Recreational fishing has enabled many people to fish for competition and pleasure. Helping to reduce their stress levels, in contrast to commercial and subsistence fishing, where people fish mainly for profit or survival. Some of the most famous fishing areas are the rivers found in Georgia. This has made trout fishing in GA all the more accessible. Georgia has, over the years, been dubbed as one of the most famous fishing states in America. This is because Georgia remains to be one of the most bio-diverse fishing sites across the country. It is streamed with fresh (like lakes and rivers) and salt water (by the coast). Given this, trout fishing in GA is now one of the most popular recreational fishing activity. Mainly because Toccoa River Trout fishing, for instance, is highly regulated by the local government, just like any other sites for trout fishing in GA. Perhaps a known site for the best trout fishing in Georgia is the Toccoa River in the north part of the state, near the town of Blue Ridge. Despite the abundance of the fishery sites in Georgia, Toccoa River is the main get-go for the best trout fishing in Georgia. Fly fishing for trout in Georgia is one of the most popular recreational sport in the county. Toccoa River fishing regulations are made by the DNR of Georgia. They have ensured that the streams which run miles in the state are maintained at optimal conditions. This is done by preserving the quality of freshwater coming from the mountains in order to protect the wildlife. Because of this reason, Toccoa River Trout Fishing is made even more popular in 2017, given that this outdoor activity has been made more accessible, and safer for people and the wildlife. As mentioned above, Toccoa River Trout Fishing remains popular because Georgia is one of the best states for fly fishing. What makes it even better is that this has approximately shorter trails to take to the streams. This makes it more accessible for people, even in the absence of a guide (although, designated guides should be present!). There is also a list of farm cabins around the valley to help people stay for the night and enjoy the view of the rainbows in the morning. Since trout fishing in GA is becoming all the more popular, Toccoa River fishing regulations have been implemented. With the characteristics of the fishing sites in mind, more tourists are flocking over to Georgia to learn how to fly fish. Some even get their very own wild game monster trophy. Since this threatens the wildlife surrounding the streams of Georgia, several regulations to preserve the biodiversity are now implemented. Also, these comprehensive laws have enabled a better system for recreational fishers. Given that going to and from sites is highly guided by the Toccoa River fishing regulations. If you are looking for best streams up in north Georgia, then this article can serve as your guide. The north part of Georgia is accessible. There are many streams which have service guides, to help you navigate through the waters. Many people are looking for recreational activities, in search of the best one that is suitable to them. Hunting has been one of the most sought-after outdoor recreation, especially if a hunter catches a good hunting game. However, what happens when the hunter becomes the hunted? While hunting seems fun, it is also dangerous. So if you want to hunt with minimal risk, then you should consider trout fishing in Missouri. Missouri has many popular fly fishing areas. This is because of the abundance of fish from its lakes, springs, and the rivers in state parks. With this in mind, knowing about the Missouri trout fishing season is imperative. That is, given that the tips simply won’t work if there are no fish to catch. This is why it is important to plan first before making that trip to fish in the state park. The Missouri trout fishing season runs from the first of March to the last day of October (Halloween!). What’s good about the harvest season, is that it runs through most of the year, where roaring waters like streams and rivers run wild with many fish to catch for sport. During the Missouri trout fishing season, a fisher can enjoy catching fish. But of course, doing so has to be under existing regulations to help protect wildlife, particularly in state parks. On any given day, state parks typically limit the number of brown trout that may be caught to four per day (with a minimum size of 15 inches). In case you decide to fly fish after the Missouri trout fishing season, a catch and release regulation is strictly implemented for fly users. With this in mind, you might want to begin looking for a private trout fishing spot in Missouri. At least for the off-season. There are many options for private trout fishing in Missouri. There are several spring parks. Including Bennett Spring Park, Roaring River State Park, Montauk State Park, and Meramec Springs trout fishing. It is important to note that these sites boast many features of their own, such as the “Most Popular Trout” contest, which is held annually in different parks. These areas for private trout fishing in Missouri also boast lodging services and also have a resort grounds for guests. Find these state parks in different areas (mostly north). It is imperative that you look for an online guide to help you discover which park is the best one for you. With this in mind, we recommend that you go and check out Meramec Springs trout fishing sites to enjoy their fisheries. Among the four mentioned fisheries, Meramec Springs trout fishing sites hold a special place for many beginners, especially since Meramec Springs trout fishing areas are easy to navigate. Maramec also boasts many its amenities, for a fee. It’s a privately owned trout fishing Missouri area. Like any other trout fishing areas in Missouri, Meramec Springs trout fishing is highly regulated. It also schedules the regular release of trout, fresh from the hatchery. With the guides mentioned above, it is now time for you, as a beginner, to start exploring the options for trout fishing in Missouri, to help you launch your new-found recreational activity. Fishing for sport is one of the most engaging outdoor recreational activities all over America. Recreational fishing enables many people from each state, to realize their potential and enjoy themselves, especially after a long and stressful season of work. With this in mind, trout records have surfaced from each state. The largest trout caught during a fishing season serve as game trophies for many enthusiasts. There are several accounts for the biggest trout caught in the world, which have been recorded across different species of trout. As mentioned above, records for the biggest trout caught in the world depend on the wild trout caught. This just means that the record for each species of trout ever found, such as the biggest brown trout ever caught, as well as the biggest lake trout ever caught. 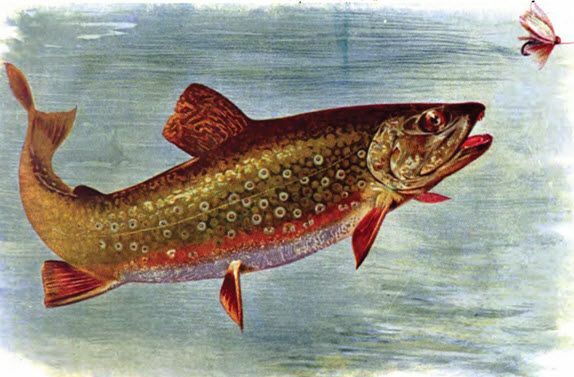 Other varieties of freshwater trout that hold records include the rainbow, spotted, brook, lake and brown trout, among others. 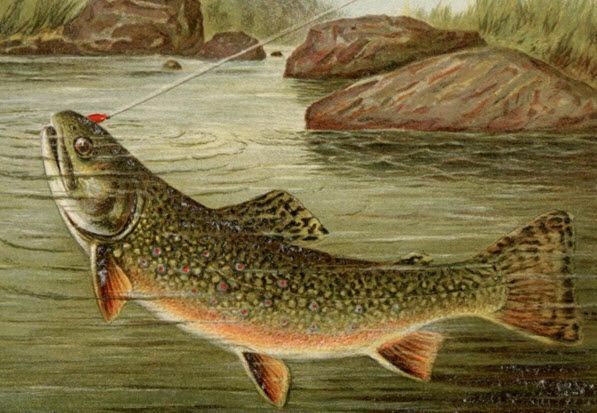 Recording the size and weight of caught trout is important, given that current standards indicate that trout records should show how heavy (in lbs), and how big the fish is, in addition to the location from which it was obtained. With this in mind, it’s helpful to learn who holds the record for the biggest brown trout ever caught. It also helps to know the biggest lake trout ever caught. Make sure they are the most common freshwater species found in trout records (except the largest recorded taimen ever caught). In New Zealand the title for the biggest brown trout ever was logged in record books in 2013. The fished weighed in at 42 lbs. However, in America, an Arkansas angler fishing from the shore caught one of the biggest brown trouts ever. The lucky guy who took home the record did so fishing from the shore. The waters were frozen at that time, as it was winter, with snow and temperatures reaching to at least seventeen degrees. This brown trout, caught in America, weighed 38 lbs, just a few pounds shy of the one caught in New Zealand. 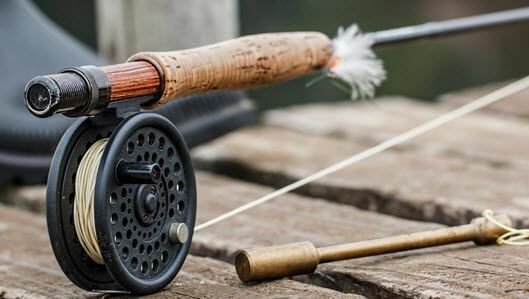 Because of this, many enthusiasts called their local game department, to create a support program in line with trout fishing as a recreational sport, in addition to calling for better wildlife preservation regulations. This has consequently made trout record keeping more strict, as the fish need caught following certain guidelines imposed by parks. Another example of a fishing achievement is catching one of the biggest lake trout ever caught. Anglers from Ontario, Canada caught the biggest ever lake trout. Measuring a length of an astounding 44 inches and weighing approximately 44 pounds, this record is even greater than the biggest brown trout caught. The manner in which they caught this trout resimbles that used for catching the brown trout; using angling as a technique to capture these giants. Similarly, the climactic conditions were similar. In both cases, they were caught in a cold, winter season. Finding large fish from lakes requires certain tools and techniques. So you will need to invest more in your fishing equipment. That is if you want to snag a local, state, or even national record for the largest fish ever caught.